This summer, I’m re-posting the 10 Most-Read Stories Behind the Stories from this blog. I’ve rewritten each essay somewhat and included the most-often-asked question about the book. This book is #7 on the most-read list, my 30th book. For about eight months I lived in Corvallis, Oregon because my wife had a semester’s visiting professorship at Oregon State University. The university had a bookstore and one day I was browsing among the remaindered books. One book caught my attention. It was written by a naturalist who worked in a forest. One day he discovered a barely alive owlet on the forest floor. He rescued it, restored it to good health, and taught it to become wild again. The book was full of information about owls. I found it fascinating. In any case, I decided it would be fun to write a book about owls. If you know Poppy you will notice that it begins with Mr. Ocax, the owl. That’s because he was to be the primary subject of the book. But-very typical of the way I write—I got much more interested in the mouse he was going to eat-a creature I named Pip. Indeed, the book came to be called Pip. Fast forward. I had finished an almost final draft of the book. Back in Providence, Rhode Island, I invited myself to read the book to a 5th grade class at the Moses Brown School. I had done a couple of sessions when a boy approached me with a book in hand. “Avi,” he said, “is this where you got the idea for your book?” He handed me a small, Canadian book that was titled: Pip: The Story of a Mouse. Understandably, I felt a need to change the name of my character, and the book’s title. Hence, Poppy. So, it was. I am often asked about the character Ereth, how did he come about? The best I can answer is that he was built in opposition to the character of Poppy. She is gentle and kind. He is rough and grumpy. And so forth. As for the way he talks? It just came to me. 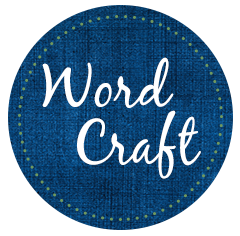 Dear friends, take it from me: writers don’t always know what they are doing. Sometime we just get lucky. But—the book was originally published by Orchard Books. At the time, two things were happening at that publishing house. It was in fact foundering—a story too complicated to explain here—and at the same time it had changed its computer-driven sales program and its warehouse. Though the book had gotten good reviews I was getting calls from book stores and libraries telling me that the book was impossible to get. It was being listed as “out of print.” It was, in short, rapidly disappearing. In the proverbial nick of time, the book won the Horn Book Award for fiction. People sometimes ask what is the impact of awards. I have absolutely no doubt that the award saved Poppy. 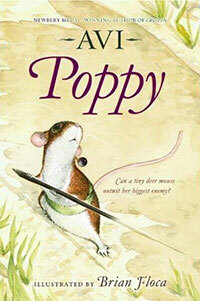 Saving it meant all the other Poppy books would be written. But that-as we say—is another story. I never thought I would, but, in fact, I have. In the full arc of the narrative, there is a gap: How did Ragweed and Poppy meet? I have now written that story, and it is currently being revised. Titled Ragweed and Poppy, it is scheduled to be published in 2020—twenty-five years after the first Poppy book. Brian Floca, happily, will do the art.